This 4 year old gelding, trained by Jonjo O'Neill won the bumper at Bangor on Friday first time out. He was sold by us as a foal at the Tatts Ireland November Sale and bought by J P McManus. Well done to all connections. This homebred bay colt topped day two of the foal sale at the Tattersalls Ireland November Sale, he was bought by Aiden Murphy for €65000. Bahamian Bounty x Triple Cee, 2011 colt who is going to Doncaster Autumn Yearling Sale in November. This 3 year old, out of our homebred Penkenna Princess, won at Sapporo in Japan on Saturday. This 9 year old homebred, stayed on strongly to win the 2 mile 1/2 furlong handicap chase last Saturday at Newton Abbott. Trained by Bob Buckler and ridden by Andrew Glassonbury he has not been out of the first 2 in his last 4 starts. This 4 year old, 1/2 brother to Open Hearted, just won the 2nd division of the bumper at Market Rasen easily on his first ever run, ridden by Barry Geraghty He was broken by us and is now in training with Nicky Henderson. Ninna Nanna foaled a filly by Black Sam Bellamy. This 3 year old colt, out of our homebred Penkenna Princess,won a £72000 race in Japan on Saturday on only his second outing. 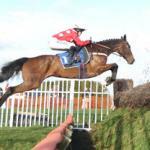 This 7 year old, broken and point to pointed by us prior to going under rules, won a handicap chase at Ffos Las by 4 1/2 lengths. He is trained by Nigel Twiston-Davies and was ridden by his son Sam. Sprinter once again produced an amazing performance to win the John Smiths Grade 1 Novices Chase on Saturday by 13 lengths. He is parading at Sandown at the end of the month before coming back to us for his summer break, already looking to be favourite for next years Queen Mother Champion Chase. This 3 year old, the first foal out of our homebred Penkenna Princess, made a promising start to his racing career by coming 2nd on his first outing at Nakayama, Japan. He is by Deep Impact. Penkenna Princess is out of Tiriana and was sold by us back in 2003 as a yearling. Samandara foaled a filly by Midnight Legend. Lisa du Chenet foaled a colt by Black Sam Bellamy on Sunday. She is due to visit Shirocco this time. Blue Ride foaled a colt by Presenting last Thursday. She is visiting Milan this time. Cosmea foaled a colt by Mawatheeq. Sprinter Sacre has just produced a truly amazing performance to win the Arkle on day one of the Cheltenham festival. Well done to all connections. This maiden mare, a half sister to Blackstairmountain and Allure of Illusion, foaled a filly by Early March this morning, and is due to visit Presenting. 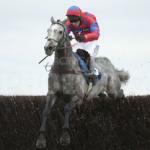 This 8 year old won the Premier Chase up at Kelso on Saturday,beating According to Pete by 4 lengths. He was ridden by AP Mccoy and is trained by Nicky Henderson. Well done all connections. Barbers Shop won the hunter chase at Fontwell by 1/2 length ensuring his place in the Foxhunters at Cheltenham in a couple of weeks. He was ridden by Mr N de Boinville once again and is trained by Nicky Henderson. 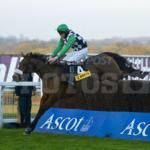 This homebred 5 year old won the bumper at Ascot on Saturday very impressively, beating his nearest rival by 7 lengths. He is trained by Colin Tizzard and was ridden by Brendan Powell. Colin Tizzard confirms Royal Guardsman on target for Champion Bumper "he is a strong stayer & a beautiful horse"
Barbers Shop won on his return to the track at Fakenham today in the hunter chase. Having been back here over the summer as usual he did a spot of autumn hunting with Billyvoddan before heading back to Nicky Henderson. He was ridden by Mr N de Boinville. This 6 year old has won the the first race at Leicester, The Wren Handicap Chase, by 9 lengths. He was consigned by us at the DBS Spring Store Sale 2009 and is now in training with Nicky Henderson. He was ridden by David Bass. This 4 year old colt, consigned by us back in 2009 at Doncaster October Yearling Sale, won the Juvenile Hurdle at Chepstow on Friday. He is in training with Chris Gordon and was ridden by Tom Cannon. 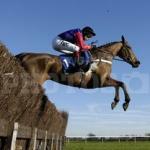 Conor O'Dwyer produced another win over hurdles with this 5 year old, sold by us back in 2010 at Goffs Landrover Sale. This time it was at Thurles where he was ridden by Davy Russell. This 5 year old gelding was sold by us back in May 2010 at the Doncaster Spring Store Sales. He won on only his second outing at Huntingdon in the bumper. He was ridden by Barry Geraghty and is trained by Nicky Henderson. 6 year old Kells Belle, broken and pre trained by us, won the listed Mares Hurdle race at Sandown on Saturday. She is trained by Nicky Henderson and was ridden by Barry Geraghty.